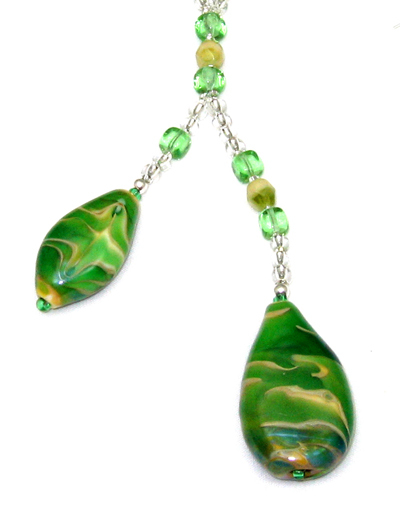 The two handmade beads featured in this set are composed of ocher-yellow and green glasses. The molten glass was then manipulated with a tool to create the patterning and blending of colors. 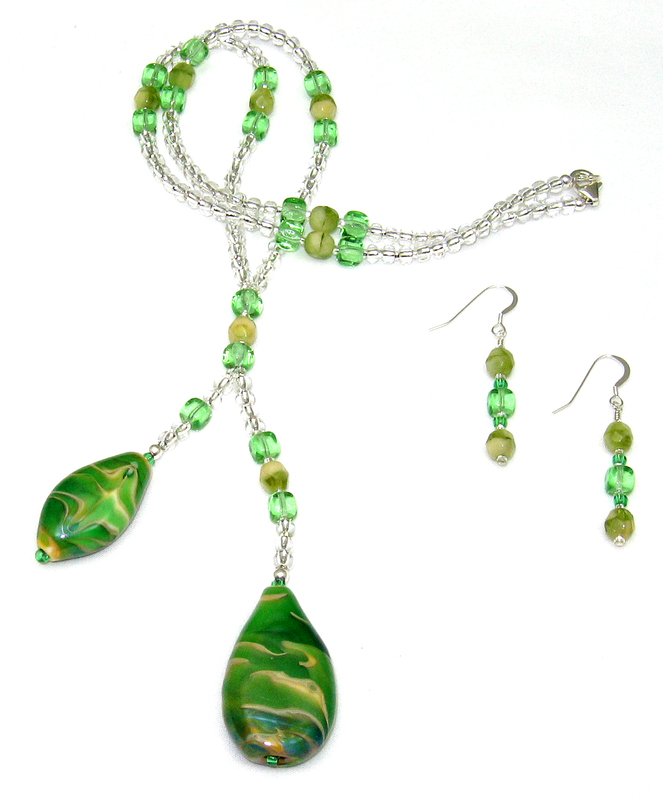 The set is finished with silver-lined clear seed beads and other glass beads.